Chicago School of Professional Psychology Inks $15.7 Mil Relocation Lease in Downtown L.A. The Chicago School of Professional Psychology has signed a lease for 37.5k sf at Aon Center in downtown Los Angeles to relocate their L.A. campus. The school signed a 125-month deal worth $15.68 mil, or about $3.35/sf/mo. 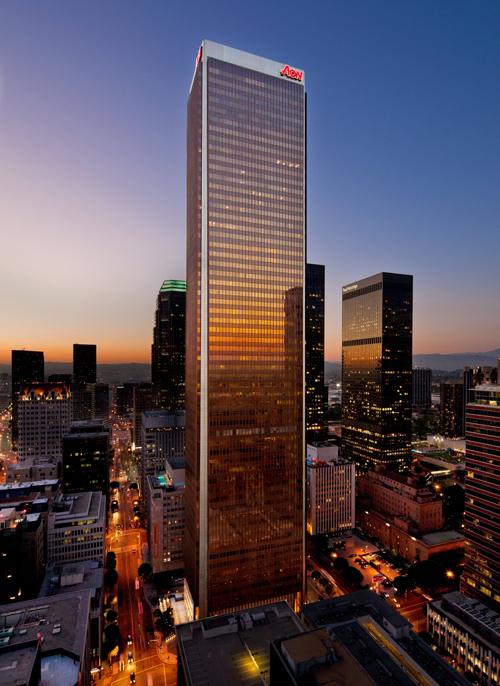 Aon Center, located at 707 Wilshire Blvd, is a 62-story, 1.115 msf office tower that includes such tenants as Aon Corporation and Morrison & Foerster LLP in the building. The property occupies two thirds of a city block between Wilshire Boulevard and West 6th Street along South Hope Street in the Financial District. The Chicago School, whose campus has been located at 617 W. 7th St since 2008, is a not-for-profit, accredited institution with more than 4,200 students at campuses in Chicago, California, Washington D.C. and online. Their new lease for the 6th and 7th floors of Aon Center begins June 2019. The admissions and student relations offices, which adds an additional 2.4k sf of space leased, will be located across the street at 637 Wilshire Blvd, a property also owned by the Shorenstein Company. Ryan Phillips, Eric Duncanson, Jeffrey Skender, Craig Cassell, Ari Klein, Scott Shelbourne and Marcus Berglund with Cushman & Wakefield represented The Chicago School in their relocation. The landlord, Shorenstein Company, was repped by Josh Wrobel, Tim Miller, and Dana Vargas with JLL.